i had the pleasure of interviewing two women I know personally, who became first-time authors after the age of 50. 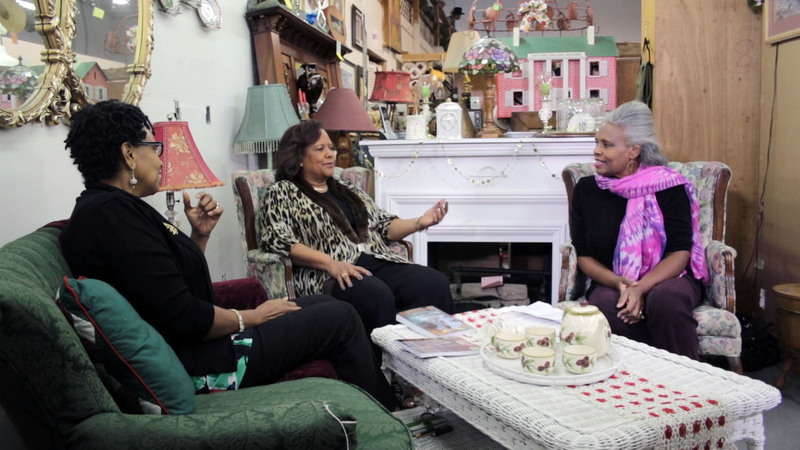 We filmed this episode at the Antique Mall in Hesperia which was a great backdrop for this segment. Nesherrill Foster published a work of fiction, while Diane Gardner published her memoirs. Both are currently working on new books. They shared their challenges and gave good advice and inspiration for others who aspire to write…mainly showing that it’s never too late! And if you’re a vintage lover like me, the Antique Mall is a great place to check out! A Filmmaker’s Dream Come True!